Nigeria's Former Military leader, General Ibrahim Babangida, made a shocking revelation of how he nearly killed his wife, late Maryam at Dodan Barracks, Lagos, in the course of his military career. Babangida, who disclosed this while interacting with journalists at his Minna Hill Top mansion as part of activities marking his 75th birthday yesterday, added that he is not as evil as many people have been made to believe. Born on August 17, 1941, Babangida, popularly known as IBB, was Nigeria’s military leader from August 27, 1985, when he overthrew Major General Muhammadu Buhari (now president) but “stepped aside” on August 27, 1993, after annulling the June 12, 1993, presidential election. The Minna born Army General, however, said that the person who was involved in another related incident was not that lucky. He said: “But I also had a situation where I was moving with some of my junior officers.There was an alarm and the ammunition fell and hit one of them and he dropped dead there. There is nothing you can do, as a commander, you have to move on. Of course, I knew the family very well, because he was my driver. 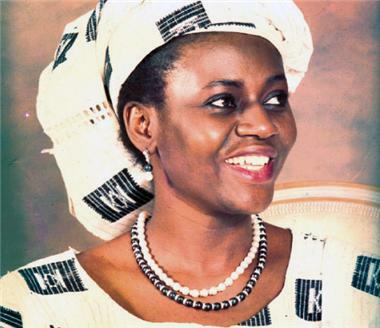 "They came, I told them what happened and they took it in good fate, saying that was how God wished it to be, but it was a very painful death.” Maryam died at 61 of ovarian cancer on December 27, 2009, in a hospital in Los Angeles, California, the United States with Babangida at her bedside. He added: “I read somewhere some time ago, where they said I stole N12.8 billion and I said: If I stole such money, I had no business staying in the country. But those are the type of things that one has to live with. I hope the younger generation will carry out research on leadership, individuals and what role they played in the development of the nation so that they come up with a different conclusion from what is on the ground now.” Babangida, who also spoke on the polity, called for a part-time legislature to cut the high cost of governance. “During my public life, there were a number of decisions I took as a military officer or as a political officer when I was a dictator that if I had the chance again, I would have done differently. For example, in 1989, we proposed that the National Assembly should be optional, that is part-time. I still believe that if I had the opportunity, I would make the National Assembly part time. I believe in that very strongly. It’s all in the effort to cut down the cost of governance,” he stressed.